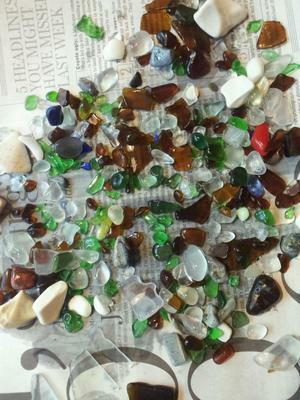 9/3/2012 Perkins Beach, Cleveland, Ohio beach glass...my first catch! 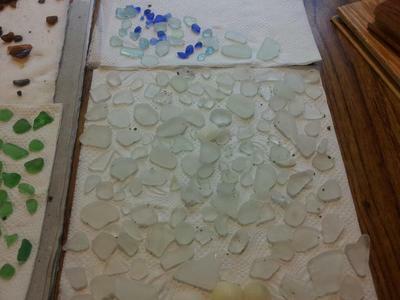 9/3/2012 Perkins Beach, Cleveland, Ohio beach glass! 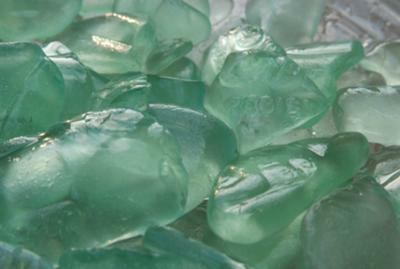 Dec 20, 2011 ... By: Janet Marie Watley - New York, New York This a partial collection of jadite that I collected on the sands of Lake Erie in Cleveland Ohio. Very long beach (over a mile) just to the west of Geneva-on-the-Lake, Ohio. 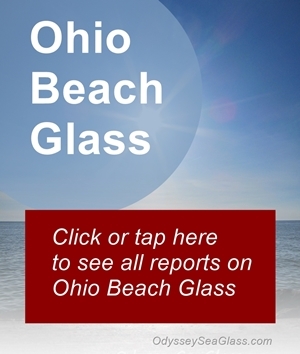 Re: Lake glass after storm? Yes, after a storm is the best time, the waves usually get pretty big so it stirs things up & brings glass up. 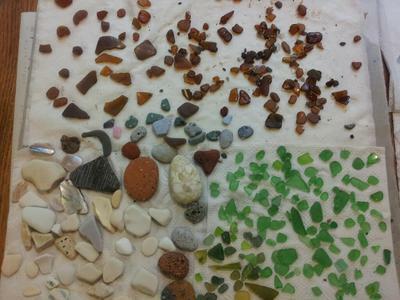 Same when freighters come in - lots of glass mixed in with the coal they drop. I have gone in the winter, but if you're from around here you'll know the wind is BITTER cold on the lake and also the rocks, glass & sand will all just be frozen/fused together. Very hard to find anything. I have come home with so much glass that my bag is about to break and my pockets are full! I find a lot of tops of old Coke bottles, pottery and what I think may be old windows? (The glass has chicken wire embedded in it) A lot of your typical browns & greens but I have found small pieces of red & blue. Best time is right after a storm or a freighter has gone through and the water is stirred up. Early mornings I seem to have the best luck. Dogs are allowed, it is not a swimming beach for humans though. It's mostly a non-motorized boat launch because Edgewater Beach is directly to the west of it, so you'll see a lot of paddle boarders, kayakers and canoes. Plenty of parking, and other parts of the island to explore like an old Coast Guard Station & small trails. There are port-o-potties, vollyball pits and a small bar that's open in the summer you can bring your own food to! The bar is very popular on the weekend nights in nice weather. 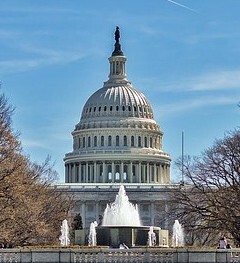 Also has great views of Cleveland, bring your camera! 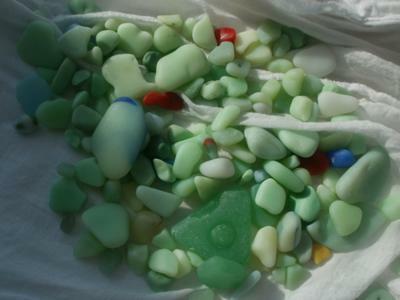 Just a question - did you find these pieces of beach glass after a storm? When do you suggest going - like winter or summer? Thanks!